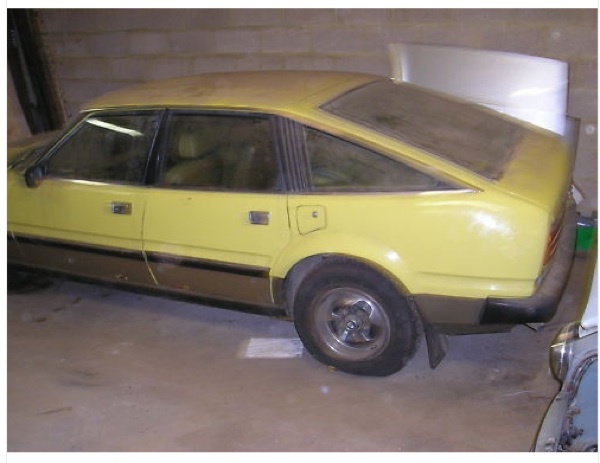 An early SD1 comes up for sale on eBay. What will it be going for? Just when you think the numbers of very early Series 1 Rover SD1s is thinning out, another turns up to entice potential future owners. Andrew Elphick has alerted us to this one which, with Chassis Number 200, is bound to create interest in the fraternity – but will they pay for it? AROnline‘s Polski-Rover SD1 bears the Chassis Number 331, so this one is about as early as they come – and should make someone a great project. The advert continues: ‘it’s got quite a bit of rust on it round the edges and in the floor. It’s has been dry stored since 1993, when he bought it. Anyway, if you fancy an early SD1 and are handy with a MiG welder, we’re sure Rimmer Bros will be happy to help with the parts. Click the eBay link. China Watch : Are all SAIC Group’s assets to be listed? Go on, Keith, you know you want to…! What an amazing find! This one needs a sympathetic restoration to bring it back up to a presentable condition – the two-tone paint on it is simply awful. Good luck to whoever buys it. I’ll have the gearlever though! 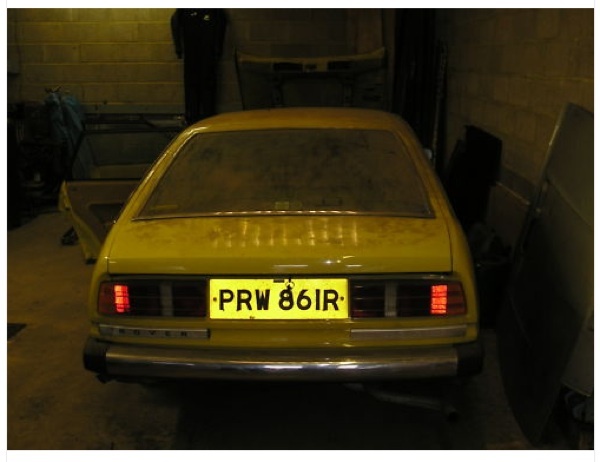 I remember that Practical Classics magazine restored an early one eight or so years ago and it was bright yellow. I’ve forgotten its Reg. 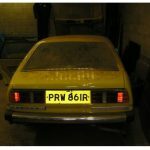 and Chassis Numbers but it was so rotten in the main places that a Rover SD1/800 specialist carried out all the work. I wonder if anyone knows whether it was completed and is still out there. That’s a pity because, if the number plate had the same letters but different numbers, this one might been its a sister car. My last car was R180NSO but R176NSO was from the same garage and in the same area years ago. Quite! God alone knows what horrors a pre-prod version contains – the ‘normal’ versions were bad enough. I notice from the photos that the choke lever seems to have snapped off – a classic SD1 fault. Oh, and I bet that windscreen leaks water inside by the bucketful. I wonder why the “3500” no longer appears on the offside rear badge. Whatever, I suspect that a full professional makeover of this one in the UK wouldn’t cost far shy of a five-figure sum – I seem to remember you were quoted £7k for yours, Keith. I bet that, if you stripped away that rustproof (ha!) paint, the whole bottom half of the car would drop off. 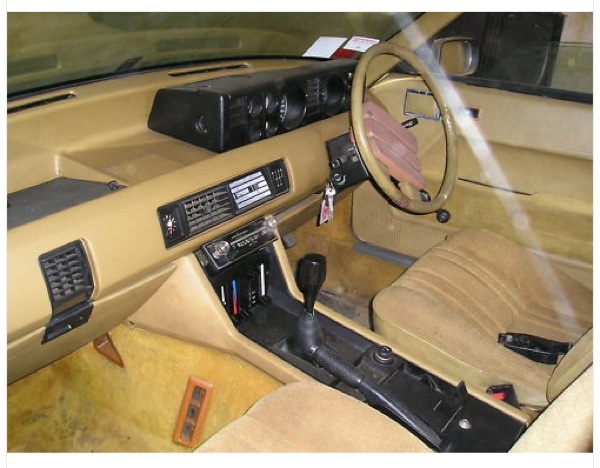 A good opportunity for someone there – I love the beige/yellow interior! 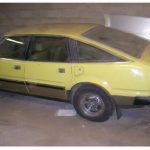 Any idea what happened to the Practical Classics SD1? I remember it looked very similar to this one and that they got a long way into the resto. However, work stopped just as it was going in for paint. Sorry to be pedantic but, when magnifying the photo of the Chassis Number x4 or so , it reads more like 300 than 200 to me. Is the Polski-Rover more closely related to this one than we thought – or is my eyesight a touch wobbly? Will this level of interest be present in 30 years time for an early MG6? I’ve just done the same and agree it looks more like 300. I wonder if those letters to the Transport Minister would ever be published? They’d make for interesting reading methinks.